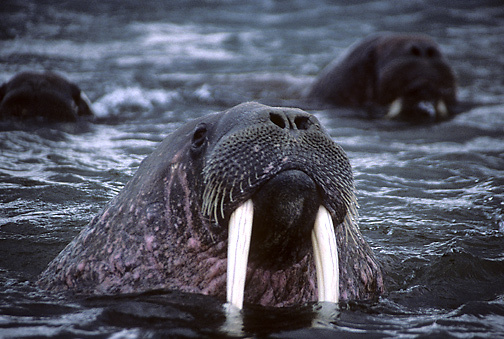 "As I stood on the remote arctic shoreline of Augustabukta, the Walrus were quite inquisitive and would swim quite close. But any sudden movement would send them rushing away back underwater. Then, after a few minutes, they would slowly gather their nerve and be back close to the shoreline again looking inquisitively at us humans."